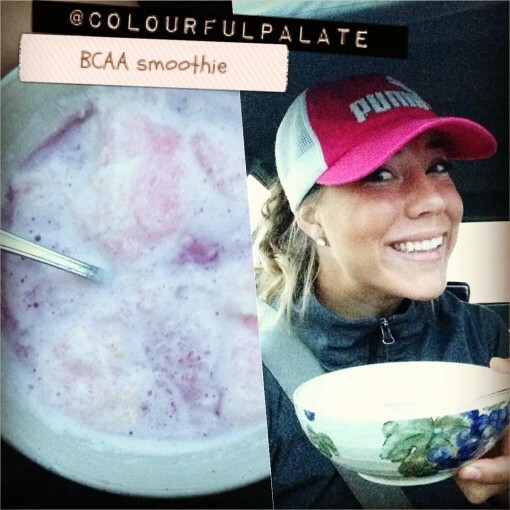 Colourful Smoothie Challenge Winners was posted on September 2nd, 2013 and is filed under Giveaway. This entry has 7 comments. You can follow any responses through the RSS 2.0 Comment Feed. It has come to this…the end of the Smoothie Challenge has come and September is here! I meant to have this post up earlier, but I was moving back to the city for my last year of Exercise Science, so it was a crazy day. I’m here, camped out at Starbucks, to bring you the news. Out of 32 ladies participating, three of them went CRAZY in the smoothie department…and I mean crazy…these girls had a LOT of smoothies! I loved getting messages from many of them who reported having more energy and feeling better…and some gals were just feeling empowered by the fact they committed to the challenge and STUCK to having a life-giving smoothie EVERY day. They crushed their goals! I have to say though, it was tight…the scores were neck in neck. I admit I had a lot of this smoothie – my Chocolate PB Dessert Shake, but it kept me away from sugary chocolate. I had this one for breakfast. No shame. 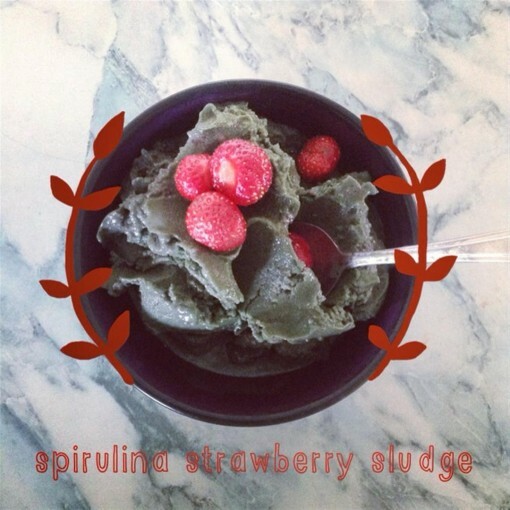 This Creamy Strawberry Spirulina Smoothie (and the one above) were my two favourites from the whole challenge. Obsessed. But enough about my smoothie obsession, so who won?! First prize goes to Renee! 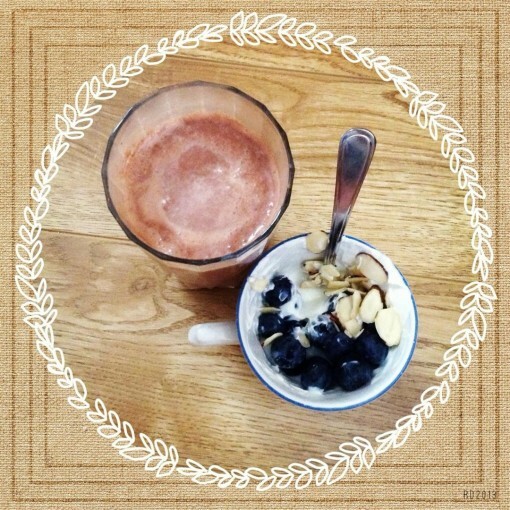 This girl went to town by maximizing the points and made probably every single smoothie I’ve ever posted. I loved getting her tweets! 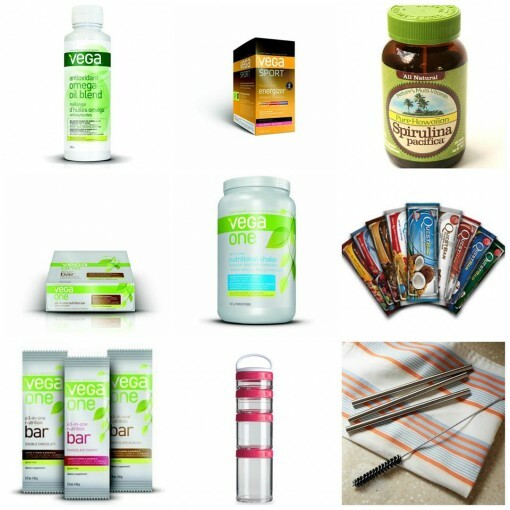 And she wins all of this…wow, congrats girl! 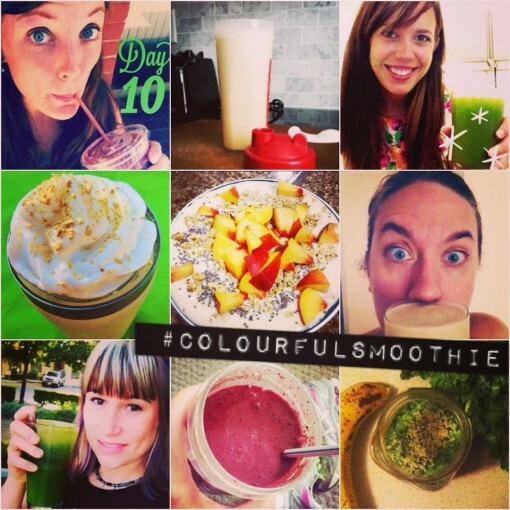 Second prize goes to the girl who created a lot of BEAUTIFUL smoothies…it’s Molly from The Happiness Recipe. This girl just radiates with sweetness! She also gets extra brownie points for drinking the MOST smoothies of anyone in the whole challenge. 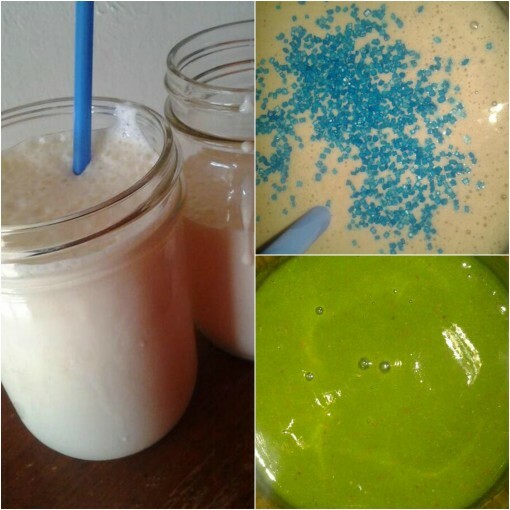 This girl had 59 smoothies in 31 days! Whhhaaaa! Third prize goes to Danielle…she is very awesome and all her tweets made me grin! 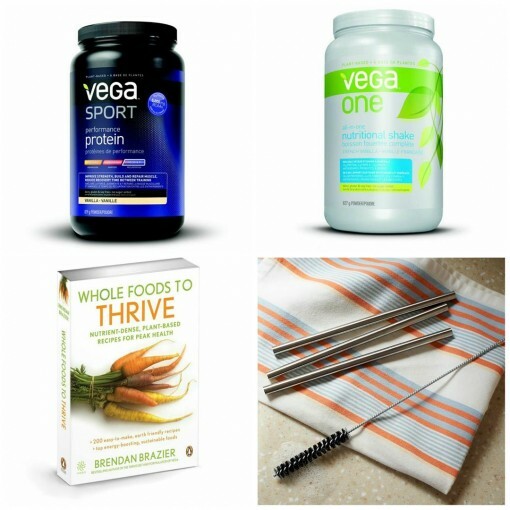 A BIG thank you to Vega, Quest Nutrition, Nutrex Hawaii Spirulina, BlenderBottle, and Maine Drinking Straws for sponsoring this challenge! Their straws are made in the USA. Unlike almost all other straws, their straws’ diameter is literally perfect for smoothies. Furthermore, the cleaning brush that is automatically added to any order is also made in the USA. SOOOOO…if you want to give them a try with FREE shipping (for US and Canadian readers), here’s the code for it: cp-freeship. Congrats ladies!! Such a great challenge! Looking forward to another! And I need those straws. I have metal ones but they have a bend which makes them hard to clean plus they aren’t big enough for smoothies. Thanks for the discount code!! 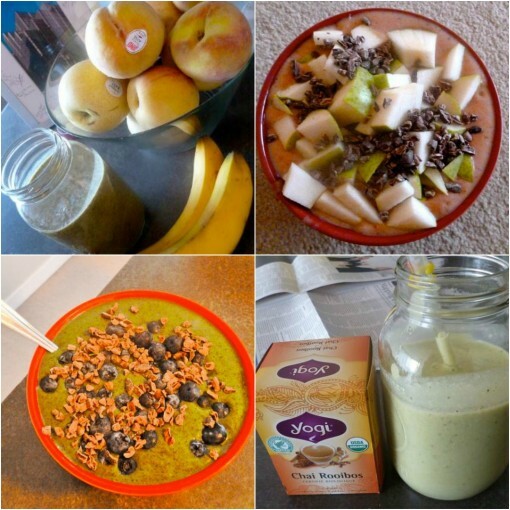 WOw those smoothies & bowls look good! Congrats to all the winners and those who participated. I hope you do this again next year. Where can we go to order the straws? Is the code still valid? Nekesha- The link is there, but here it is again: http://www.mainedrinkingstraws.com/ The code is still current!